How To Diagnose & Fix Short Cycling Furnaces | Sierra Air Inc. If you have a furnace based heating system, chances are you may have had instances where it cycles on and off as often as every five minutes or so. This is a problem known as short cycling, and in this blog, Sierra Air takes a look at what you can do to prevent it. Regardless of the type, heating systems work by releasing hot air into a room then shut off when the desired temperature is achieved. The heating system cycles back on if the thermostat and/or sensors detect a change in temperature. Temperature drops do not happen in that short a time span; just think about the time it takes for soup or coffee to cool down. So if your furnace cycles on and off too fast, it’s short cycling, and it’s something you should look into. Short cycling can be caused by one or several factors. The thermostat is the usual suspect, but you shouldn’t assume it’s damaged. In fact, the fixes can be as simple as resetting, recalibrating, or changing the temperature a few degrees off then setting it on again. You can try other simple troubleshooting steps if the previous steps didn’t work. Another common cause of short cycling is improper sizing. HVAC systems need to be properly sized in proportion to the size of the room or home it’s installed in. A furnace that’s too small will end up under constant stress just to reach your desired room temperature. A furnace that’s too large will heat the room too fast and will end up short cycling. Short cycling can result in uncomfortably uneven indoor temperatures. The frequent on-and-off cycles place additional unnecessary strain on the furnace, which can cause premature failure resulting in costly repairs. Since the motor uses up more energy when turning on, it can cause an increase in your monthly energy consumption. 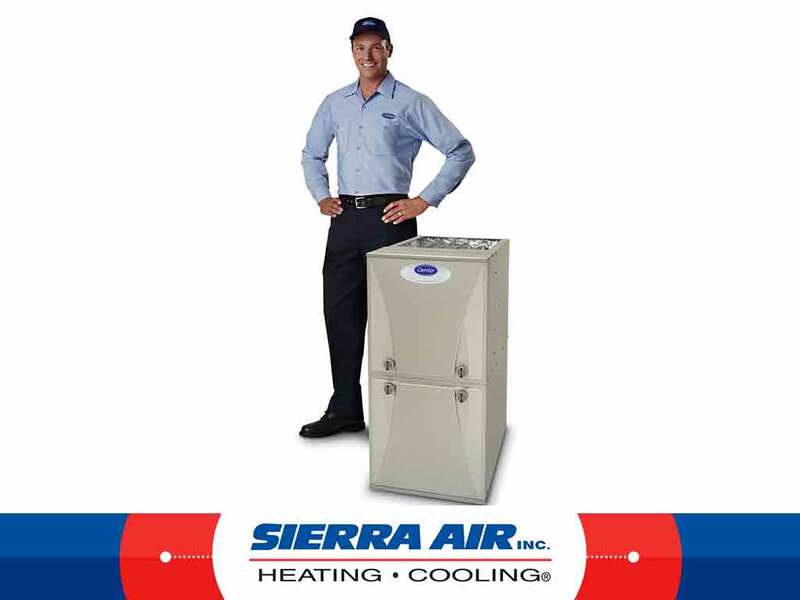 If you have a furnace that is short cycling, call Sierra Air, Inc. today at (775) 800-5500. You can also fill out our contact form to schedule an appointment.